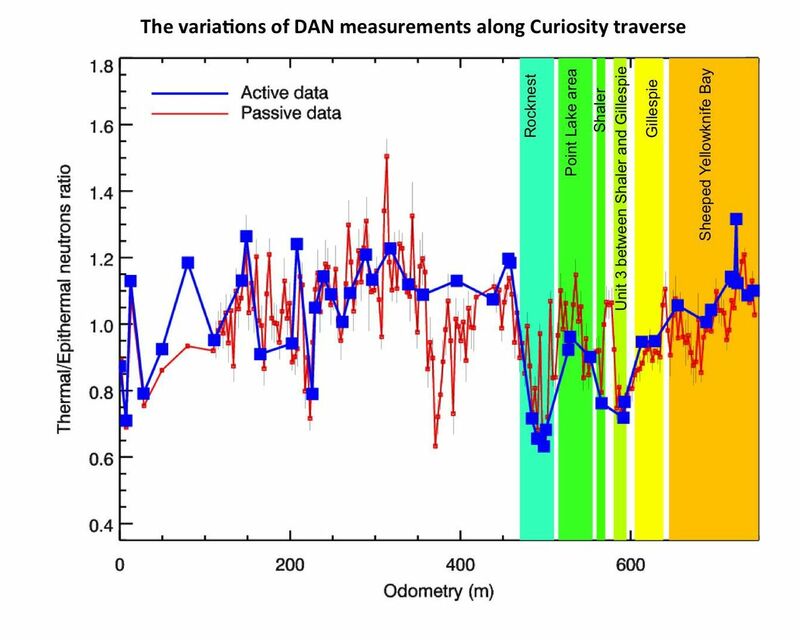 This chart graphs measurements made by the Dynamic Albedo of Neutrons (DAN) instrument on NASA's Mars rover Curiosity against the distance the rover has driven, in meters. In active mode, DAN shoots neutrons into the ground and senses how they are reflected. Neutrons that collide with hydrogen atoms bounce off with a characteristic decrease in energy. 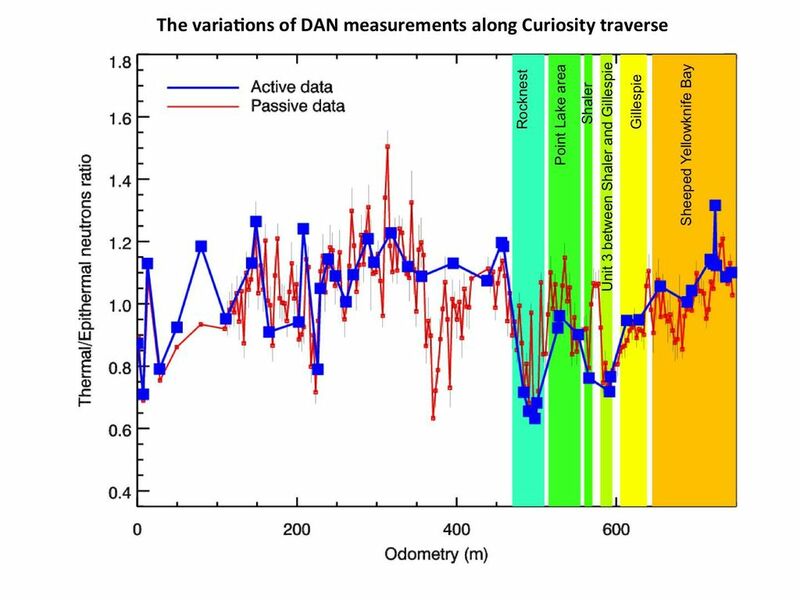 By measuring the energies of the reflected neutrons, DAN can detect the fraction that was slowed in these collisions, and therefore the amount of hydrogen. 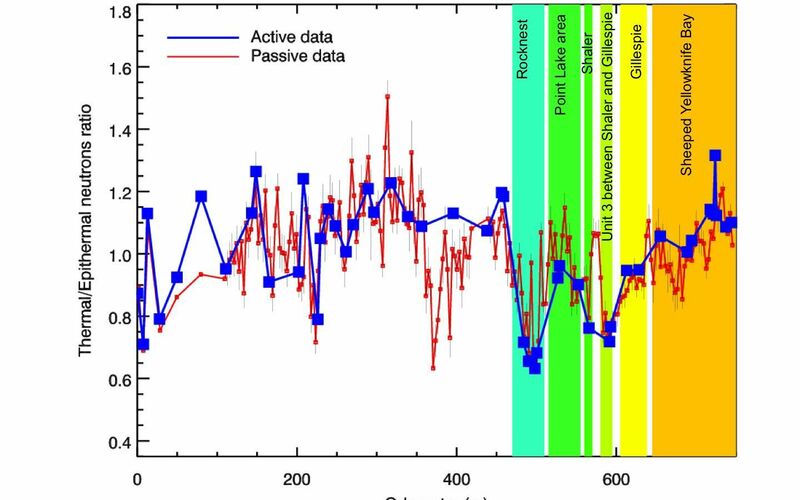 In the passive mode, DAN does not shoot neutrons into the ground, but relies on galactic cosmic rays as a source of neutrons that are reflected by subsurface hydrogen and detected by DAN.